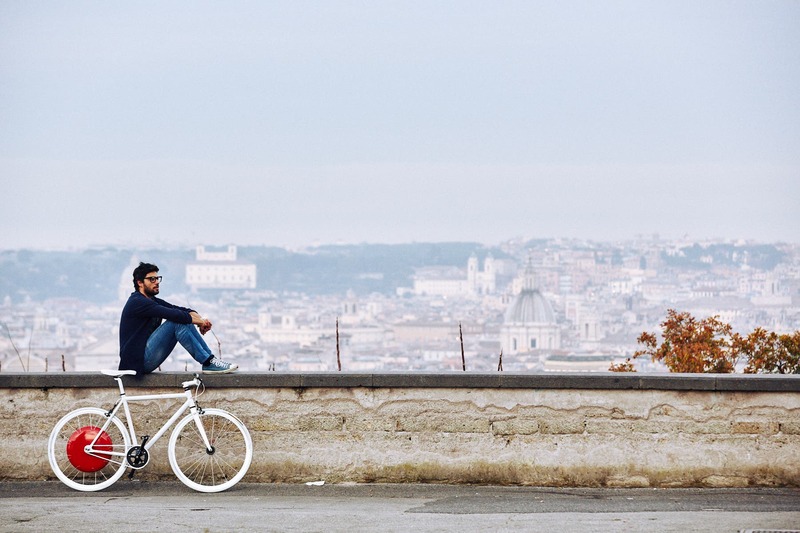 It didn’t take long for electric bicycles (e-bikes) and connectivity to make that bridge, effortlessly helping us achieve a healthier means of transportation. The Copenhagen Wheel “Human-Enhancing Technology” is the next step to a seamless e-mobility experience. 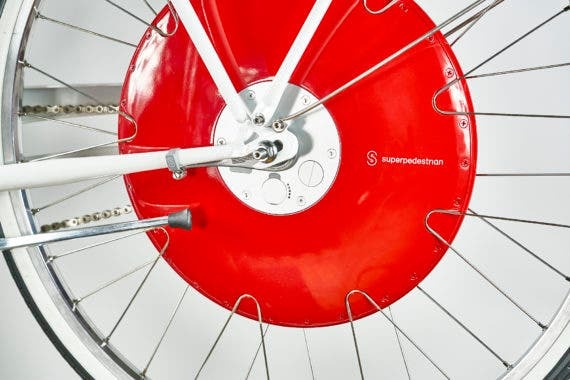 The Copenhagen Wheel is a product from MIT spinoff Superpedestrian that we first wrote about in 2012, and then again when it went on sale in 2013. Superpedestrian just announced its “human-enhancing technology,” which is now commercially available with a new version of the Copenhagen Wheel. 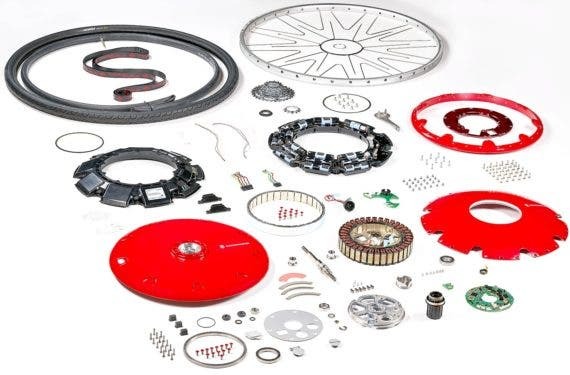 Superpedestrian’s aim is to assist you in finding your ideal e-bike, particularly with its Wheel + Bike option, which gives you a new Copenhagen Wheel pre-installed on the bike of your choice. There are currently two options at $1999, with various pickup locations throughout the US. The Copenhagen Wheel “Human-Enhancing Technology” is what has become to be known as a drop-in e-bike wheel kit. Specifically, this kit helps you convert a regular bicycle into an e-bike. However, the latest Copenhagen Wheel version adds a few goodies I’ve been looking forward to. While there are virtually hundreds of e-bike kits — ranging from affordable and unsophisticated to high-end options — the Copenhagen Wheel ups the ante and sets itself ahead of most of the competition. First of all, the new Copenhagen Wheel “Human-Enhancing Technology” starts off in the right place by placing the electric motor where it belongs, on the back wheel for a kit. It might seem somewhat as a given, but most of the e-bike kits today are for the front-wheel. This setup gives you a nose-heavy e-bike, making for heavy-handed low-speed turns and an inherently unbalanced feel. It’s not uncommon to see 750W and above front-wheel electric motors relying on regular rim brakes. And let me tell you, that is not a comforting prospect when you need to stop quickly! A back-wheel drop-in is a better choice, albeit a little more complicated than simply changing a front wheel and connecting a few wires. It needs to accommodate the gear system and cassettes, making sure they play well with the new in-hub electric motor. The Copenhagen Wheel kit offers what we’ve come to expect today — cadence and pedal-assist. For those of you not familiar with cadence, think of it as a cruise control that keeps you riding at an even pace while pedaling. Pedal-assist is exactly what the name suggests, a sensor that feels how much pressure you apply to the pedal and delivers electricity to the motor to assist your effort. Superpedestrian believes that by 2050, people living in cities will equal the world’s entire population today, and that the demand for smart urban transportation will overload what we currently have today. Mobility Physicist Assaf Biderman, CEO of Superpedestrian, believes that the size of the vehicle needed to accommodate this population size and its mobility needs to be greatly reduced. Ideally, a mobility solution geared for one to two people that quickly travels through a dense urban environment is needed and will reduce the need for cars as they are designed today. Biderman also believes it will nullify the need for autonomous vehicles and public transportation. I’m sure this last part will open a healthy debate around this issue. The Copenhagen Wheel analyzes and decides when to engage the motor, “faster than a normal subconscious responds to a stimulus.” What this means is that the Copenhagen Wheel engages the electric motor in under 100 milliseconds when it senses you need an extra push. By using no less than 70 sensors and a computer system to management everything, the Copenhagen Wheel analyzes a rider’s movements with 12 dedicated sensors personalized to its profile. The Wheel sports a 350W electric hub motor for the US and a 250W version for Europe. It will be capable of reaching speeds of 20 mph, and 25 km/h for Europe. The electric motor is powered by a 48V, 279Wh Li-ion battery. This gives the Copenhagen Wheel, in general, a range of up to 30 miles (50 kilometers), depending on the bicycle converted. The kit itself weighs 16.8 lbs (7.6 kg) and can be fitted on a single-speed or geared bicycle. The drop-in kit needs at least a 120 mm (4.724″) for a single-speed or 135 mm (5.315″) for a multi-speed bicycle conversion. 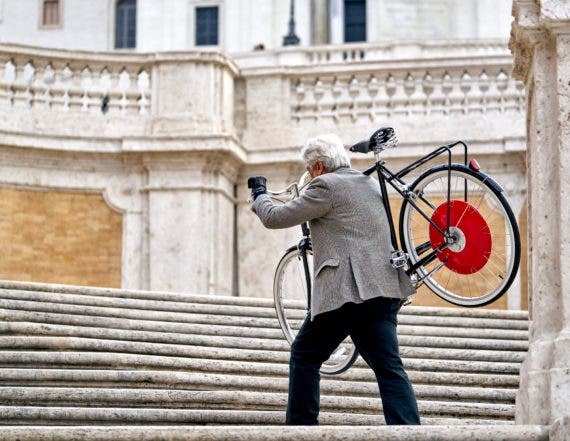 The Copenhagen Wheel also has regenerative braking, which can be engaged as a way to get a serious workout. This new Copenhagen Wheel Human-Enhancing Technology uses an app to allow its rider to set the pedal-assist level from Eco to Standard, Turbo, and Exercise mode for various pedal-assist levels ranging from low to high. What makes the Copenhagen Wheel Human-Enhancing Technology really great is that it lets you map rides, distance, and speed. It also gives you an estimated number of calories burned during the ride. Something else that caught my attention is the “Proximity Unlock” feature, which uses a Bluetooth connection to determine how near you are to the e-bike, thus unlocking it without using a key. And yes, there is a physical lock to secure it. Ultimately, the Copenhagen Wheel “Human-Enhancing Technology” from Superpedestrian is an attempt to help e-bikes eventually replace cars. 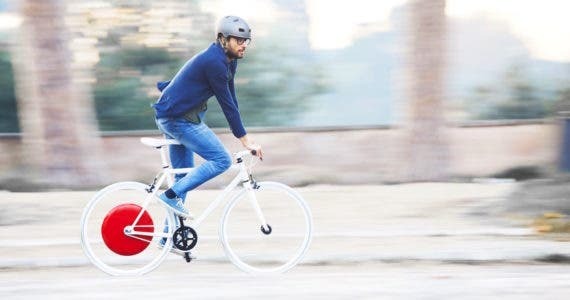 It offers a smart rear-wheel in-hub kit to convert almost any bicycle to electricity. 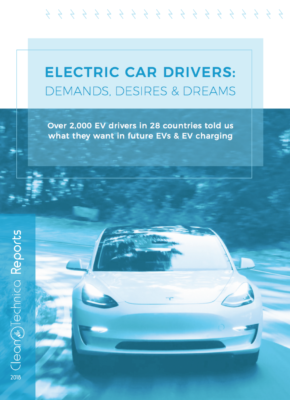 Most e-bikes are headed towards a more seamless and connected experience while aiming to become a compelling alternative mobility solution to the car. Are we here yet? That will depend on you, but so far, I’d say The Copenhagen Wheel “Human-Enhancing Technology” is pretty close to home.